In Syria, two new fronts have been opened. Such an opinion has been expressed by a number of commentators analyzing the latest reports from the country. In the North of Syria, the Turkish military launched a military operation called “Euphrates Shield” against the city of Jarabulus. According to unconfirmed reports, the operation also involved artillery, MLRS, and Turkish commandos. The Turkish military has reported at least 224 strikes on 63 targets, 12 of which were destroyed. At the same time, it is reported that Ankara is supported by troops who formally make up part of the Damascus opposition, the so-called Free Syrian Army (FSA). The second front is in the city of Hasaka, which is controlled by - or we can say was controlled – by Syrian government forces. Pro-American Kurds attacked units loyal to official Damascus, recently capturing Hasaka. 230 Syrian soldiers were captured. Fighting has been ongoing for several days and observers have assured that this has been “the most serious” clash between government forces and Kurds during all the years of the war. Things went so far that the Syrian Air Force planes bombed enemy positions, thus causing a considerable worsening of the international situation as the US threatened to shoot down Syrian aircraft in the event of further air strikes. Both fronts, the Syrian and the Turkish, have a single common enemy: pro-American Kurds. US threats over the fighting in Hasaka are explained primarily by the fact that the United States has become essentially afraid. The Syrian Air Force came to Hasaka to the aid of SAA troops, inflicting blows on the attacking Kurdish militias of the “Assaish” division within whose ranks or, according to some information, near whose ranks are American instructors. To protect them, US fighters have driven away Syrian aircraft. According to their official statement, the Turks are fighting in the area of Jarablus to free Northern Syria from ISIS with the help of the “moderate opposition,” the same FSA. This follows from the words of the Turkish foreign minister, Mevlut Cavusoglu. On this note, President of Turkey Recep Tayyip Erdogan has put it even more bluntly: the “Euphrates Operation” military operation is intended to eliminate the threats posed by the terrorist Islamic State group and - attention! - Syrian Kurdish forces. The Kurds in the region are the closest allies of the US and Israel. They have the full support of both countries. At the same time, neither official Damascus nor Ankara are interested in Kurdish autonomy as such opens the way for the disintegration of Syria. It is no coincidence that one of the main objectives of the operation “Euphrates Shield" is named as the preservation of the territorial integrity of Syria. "The Kurdish factor is really becoming a quite acute and pressing problem in the Middle East,” said an important Russian expert on the Kurdish issue, deputy director of the Russian Institute of Strategic Studies (RISS) Anna Glazov. She continues: “It is no secret that the interests of the Kurds on the one hand and the Bashar al-Assad government and a number of regional countries on the other sharply diverge. And expecting any compromise to be found in solving the problem of Kurdish autonomy is extremely difficult. " Meanwhile, experts say that the main goal of the Kurds is to secure precisely this autonomy or rather, a Kurdish federation, the establishment of which they announced back in March of this year. To do this, they need to ensure a coherent, contiguous, controlled territory - that is, join together the cantons inhabited by Kurds on the border with Turkey. And today, having already captured the city Manbij, their main task was cleansing Jarabulus of ISIS. The Turks hit and used proxy forces of the "green", "moderate" opposition. The strategic objective of the operation is not only the the destruction of ISIS units. Earlier, Kurdish YPG units supported by the US and its allies took control of the large city of Manbij 40 km south of Jarabulus. In the case of this town’s seizure, they would take control of almost all the Turkish-Syrian border, united with the Kurdish forces near the town of Afrin in the West of the Aleppo province, and thus create a corridor stretching to the Mediterranean. Turkey considers the YPG to be a terrorist organization and accuses it of supporting the PKK and Turkey’s own Kurdish separatists. Turkish President Recep Tayyip Erdogan openly declared that the military operation is directed not only against the ISIS, but also the Kurds. Mehmet Perincek, a Turkish political analyst from the Vatan opposition party close to military circles said that the operation is “the fruit of Turkey's rapprochement with Russia." According to Perincek, last November, before the crisis in Russian-Turkish relations, Putin and Erdogan met in Anatolia to agree on the operation in Syrian Jarabulus. However, Perinçek said, after the Gulenists downed the Russian plane, the agreement lost force. 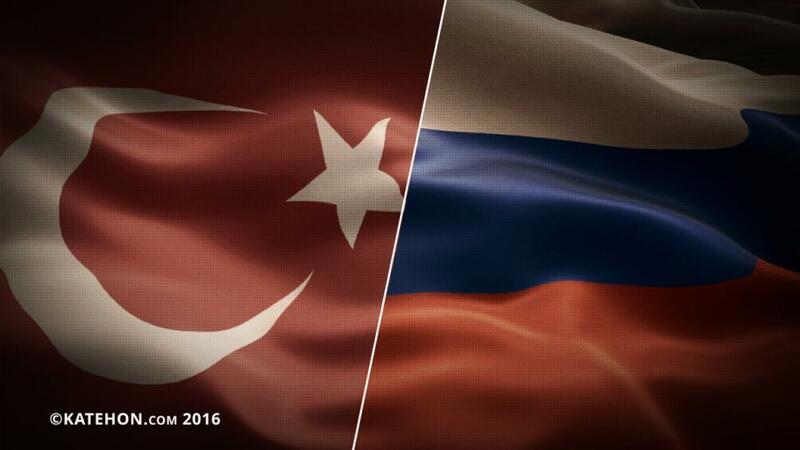 The United States and Gülen network were not interested in rapprochement between Russia and Turkey on Syria. "After the restoration of relations between Turkey and Russia, Eurasian forces once again gained the chance to eliminate American presence in Syria and in the region. This operation coincides with the interests of Syria, Iran, Iraq, and Russia, Mr. Perincek said. This information is confirmed indirectly by the long silence of the Russian Ministry of Foreign Affairs and the Ministry of Defense on the Turkish operation. Both Moscow and Damascus expressed they concern only after Turkey had successfully take Jarabulus, thus allowing them to complete the operation. After the meeting between the two presidents August 9th, 2016 in St. Petersburg, a mechanism was establishing for harmonizing the actions of the military and intelligence services of the two countries in Syria. It is difficult to assume that Ankara decided to take such a step without Moscow’s consent. Otherwise, the Russian reaction would be different. The price of Russian consent is known, as reported by our sources: Turkey must support the territorial integrity of Syria and preservation of the head of the country, Bashar al-Assad. The fact that Turkey has recently stated that Assad might temporarily remain at the head of Syria shows that Ankara is beginning to soften their previously unwavering public position on this issue. President Erdogan clearly hinted that he is ready to cooperate in Syria: "Turkey is ready to make joint efforts with the forces of the international coalition and Russia." A Turkish television station NTV reported that Turkey informed Russian official in order to start the operations in the North of Syria. In the language of facts, this means that Turkey did not really “inform” as much as it requested and received consent. Indeed, according to information received by Katehon, the operation is taking place with the tacit approval of Moscow. After the meeting between Putin and Erdogan in St. Petersburg on August 9th, 2016, both parties agreed to coordinate fighting in Syria. Russia understands Turkey's interests in the Turkomen-populated Northern areas of the country as they are similar to Russia's interests in Russian-populated Eastern Ukraine. At the same time, Ankara is putting the United States in a very difficult position. Turkish official statements refer to the forces involved in the operation as "the anti-terrorist coalition under US leadership." However, US government officials have remained silent about this "engagement" with the Turks in an operation that is also aimed against Kurds. It turns out that, on the one hand, the United States must support the operation against ISIS (especially given the pressure tools available to Turkey - the air base "Incirlik" and Turkey's participation in NATO), but on the other, it cannot betray its Kurdish ally, the main force which the Americans rely on in the region. Pro-American media are trying to fill the information gap, calming the population with mantras that everything is under control. A the end of the day, the White House has to officially support the anti-ISIS operation, but the most interesting part of the drama is ahead, when the Turks will confront the US-led and trained Kurds. Previously, the USA threatened Damascus and Moscow, when they hit the Kurds because of the presence of US special forces. Would they do the same with Ankara? For Turkey, there is no difference between ISIS and YPG. For the US there is. The Turkish leadership is increasing its importance in the Syrian war and creating a real headache for the US. Moreover, the start of the operation coincided with US Vice-President Joe Biden’s visit to Turkey. He will have to somehow respond to the actions of Turkish authorities while he puts on a good face during a bad game. Biden has urged the Kurds not to cross West of the Euphrates like the Turks demand. The current negotiations on Turkey’s role in NATO are at stake, and the US cannot take any action in support of the Kurds without endangering the negotiations.